English Version FOLLOWS Chinese translation. 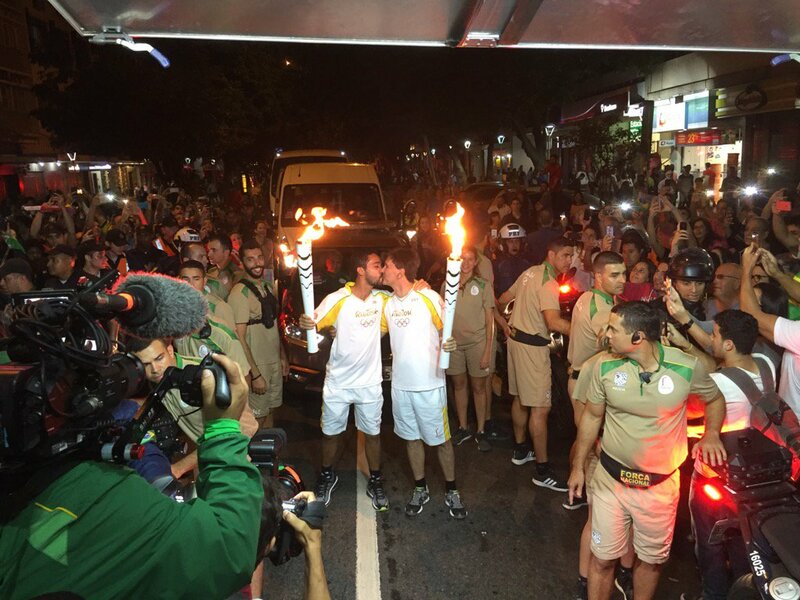 Two men shared an intimate kiss during the 2016 Rio Olympic torch relay. The Rio 2016 Olympics kicked off yesterday and as during the Olympic relay, two men made history as they paused to kiss. The kiss was captured by journalist and photographer Pedro Veríssimo as the men made their way through the gay-friendly city of Ipanema. But that wasn’t all as Laerte Countinho also carried the torch and is believed to be the first transgender person to carry the torch in the relay. Lea T, a Brazilian trans model, took to the stage last night (August 6) for the opening ceremony in Rio.